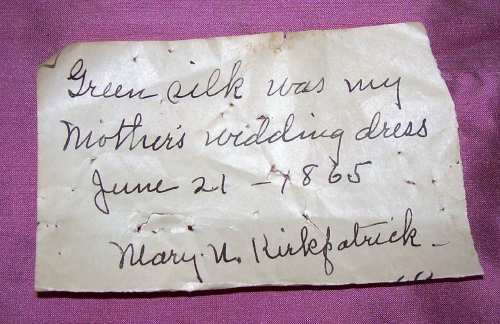 There is a tag pinned to this dress “Green silk was my mother’s wedding dress June 21, 1865 Mary N. Kirkpatrick”. Dress is in two pieces. The skirt has been reattached to a ribbon waistband. Originally skirt was not attached to the bodice. 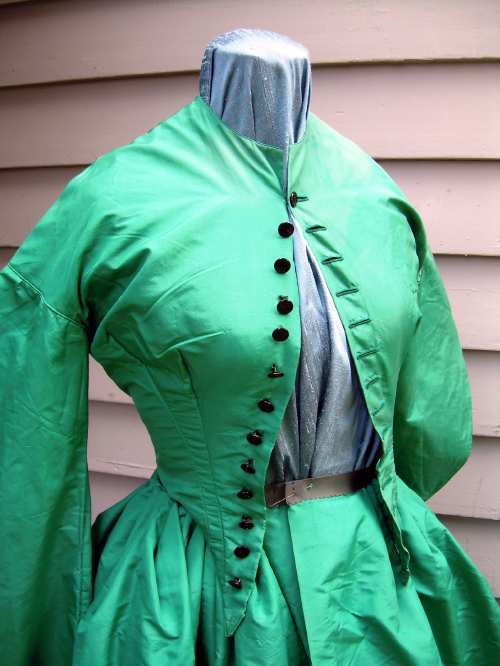 The lady would have pinned the waistband to her corset and worn the bodice over it. The skirt is unlined except for a wide band at the hem. Skirt is 162 inches circumference at hem. 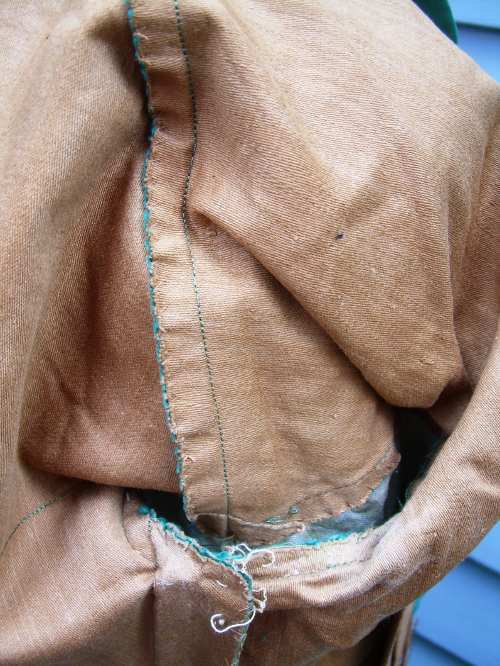 The bodice is lined with brown cotton. There is boning at the darts. 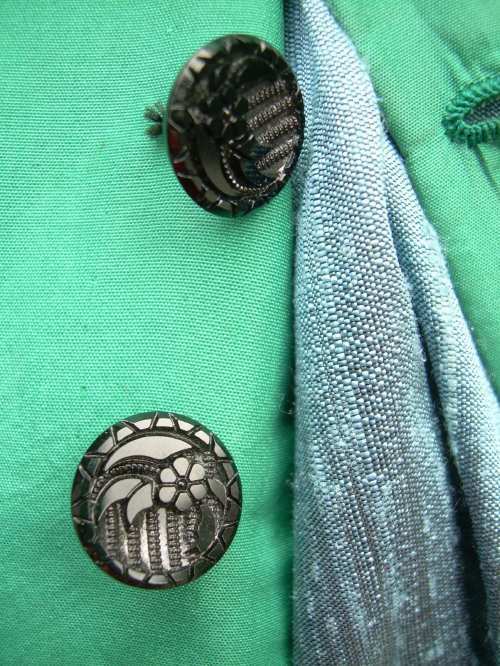 Has all original 13 black jet buttons. 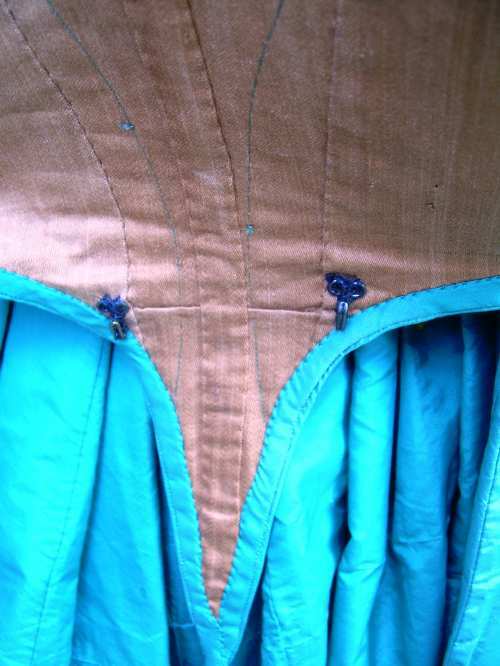 The bodice waist is cut with points front and back. 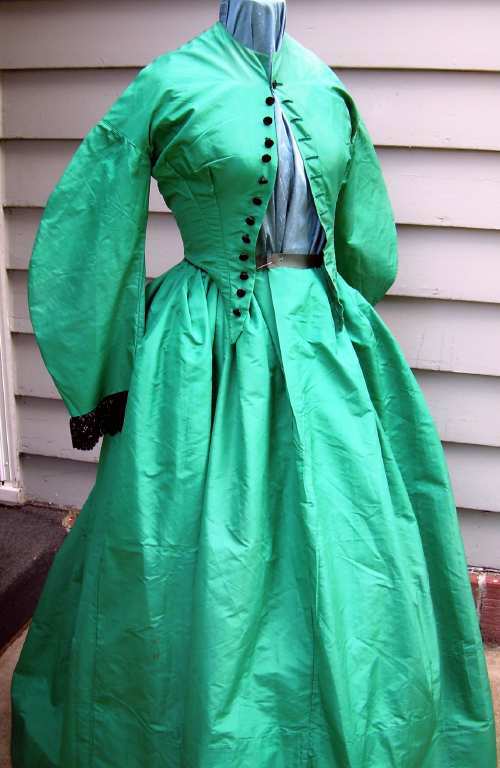 The sleeves are two piece coat style typical of the mid 1860’s. 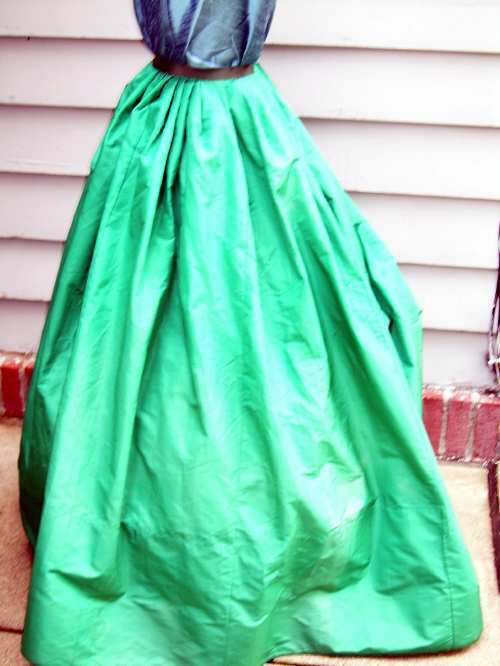 The dress is hand and machine sewn and in excellent condition. There are a few small water type stains. 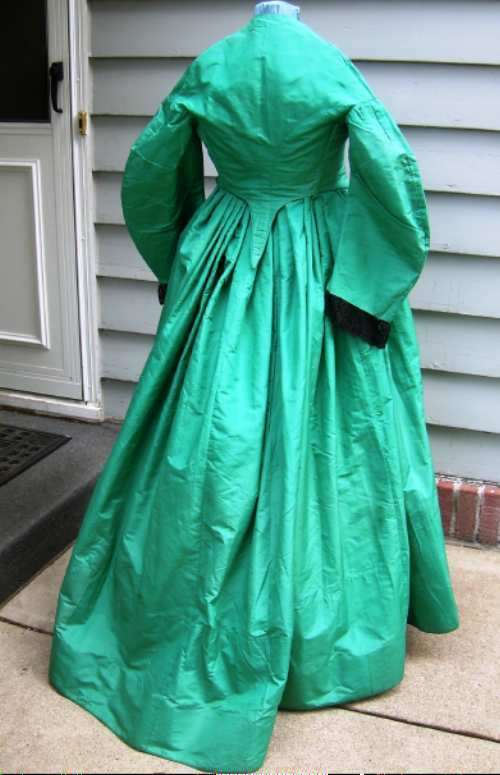 It does not have the typical staining under the arms so was probably put away after the wedding and not worn again. The waist is about 21 inches. In modern sizing is probably a 0 or less, corsets did wonders. Nice artifact from a lady who probably married a just returned soldier. Dearest Sellers, this is how you do a write up for an auction. This individual gave all the important information and decent pictures. I would have liked one of the entire inside bodice but this works. Also hooray dispelling the myth that all wedding gowns were white!